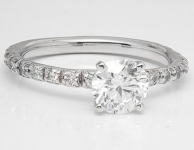 Beautiful antique-style ring with tons of details to make it sparkle from every angle. 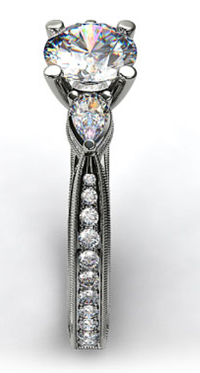 Starting from the top, the center diamond is flanked by two pear-shaped diamond sidestones. 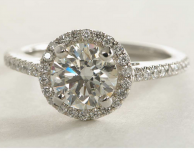 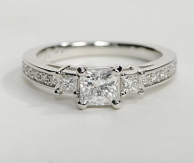 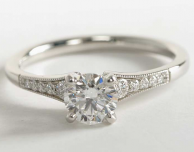 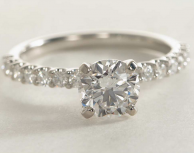 The sparkle then continues down the side with the diamonds, and the entire ring is accented with milgrain detailing. 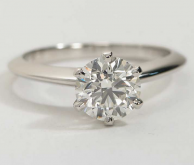 A wonderful choice if you want an antique/vintage looking ring!